I haven’t shown you my appliqué wall-hanging for a while. 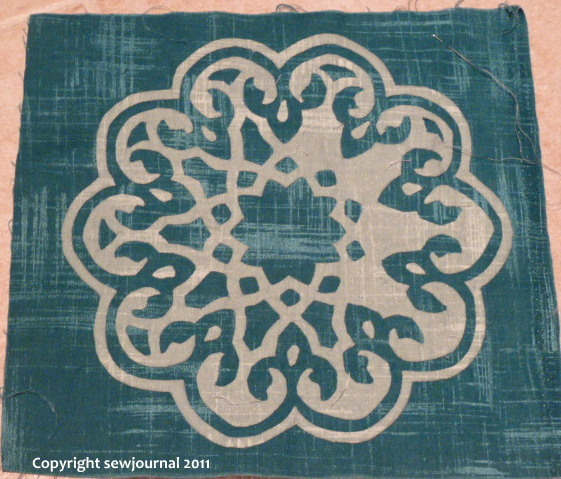 The turquoise appliqué I showed you here that will go in the centre medallion now looks like this. Oh, wow! That looks wonderful! Very, very nice. Looks like a lot of work. You are a champ, Munaiba! Oh Munaiba, it’s just beautiful. I’m really have to give that Back Basting another try. Beautiful, my fave single layer applique.